High water moisture readings- SERVPRO of GREATER St. Augustine/St. Augustine Beach ENGAGE!!! When the owners of this St. Augustine condo flew in for the holidays they were in for a nasty surprise. Flood waters found their way in (first floor) and caused a lot of water damage. SERVPRO of Greater St. Augustine/St. Augustine Beach were fast on the scene and no water damage can match up to the expertise on hand! "Like it never even happened." We are ready to professionally serve you in your time of disaster! We offer a wide range of serviced – from cleaning, to remediation and on to reconstruction – SERVPRO of Greater St. Augustine/St. Augustine Beach is the vendor of choice for many local residents and businesses alike. Storm Flooding brought external debris and sand into this St. Augustine Condominium. A faulty fountain caused havoc in this St. Augustine community. 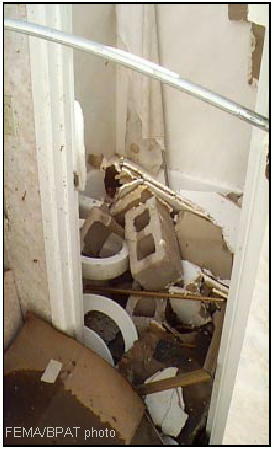 The photo shows external sand and debris that traveled through drywall!!! SERVPRO of Greater St Augustine/St Augustine Beach quickly responded to the water damage call and within a week completed all restoration/remediation work. Our “Before and after” section highlights the difference we are able to make in a flood/water damage situation. All our services come with price match and satisfaction guarantee. Here at SERVPRO of Greater St. Augustine/St. Augustine Beach we work tirelessly to be better than competition. Carpet Padding being removed after a home flooded in St Augustine. SERVPRO in St Augustine knows all things restoration and reconstruction. While performing water damage and flood remediation in homes where there is carpet, all affected padding must be removed. In the picture you see rare Nike padding. We make sure there is visual evidence of all removed and replaced materials which in turn allows us to get all these nuances approved through claims. We work directly with claims so that you do not have to. This is just one example of how SERVPRO located in St Augustine goes above and beyond for our customers. SERVPRO of St. Augustine is leading the way in the digital realm. Check out our Facebook page to get to know your SERVPRO of St. Augustine/St. Augustine Beach. If you have questions about water damage, call us today at 904-429-4457 to see how we can help save you time and money! Thank you for trusting SERVPRO of Greater St. Augustine/St. Augustine Beach. What to do during a tornado warning in St Johns County. SERVPRO of Greater St Augustine's fleet is ready for dispatch at a moment's notice - 904-429-4457. Let the professionals at SERVPRO help. In a house with a basement: Avoid windows. Get in the basement and under some kind of sturdy protection (heavy table or work bench), or cover yourself with a mattress or sleeping bag. Know where very heavy objects rest on the floor above (pianos, refrigerators, waterbeds, etc.) and do not go under them. They may fall down through a weakened floor and crush you. Head protection, such as a helmet, can boost your ability to survive also. In an office building, hospital, nursing home or skyscraper: Go directly to an enclosed, windowless area in the center of the building -- away from glass and on the lowest floor possible. Then, crouch down and cover your head. Interior stairwells are usually good places to take shelter, and if not crowded, allow you to get to a lower level quickly. Stay off the elevators; you could be trapped in them if the power is lost. In a mobile home: Get out! Even if your home is tied down, it is not as safe as an underground shelter or permanent, sturdy building. Go to one of those shelters, or to a nearby permanent structure, using your tornado evacuation plan. 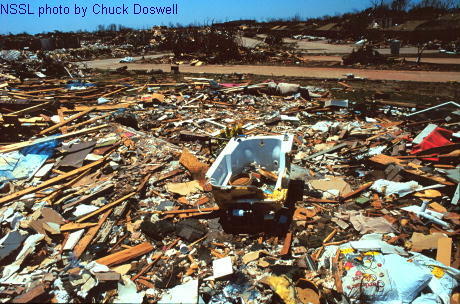 Most tornadoes can destroy even tied-down mobile homes; and it is best not to play the low odds that yours will make it. This mobile-home safety video from the State of Missouri may be useful in developing your plan. At school: Follow the drill! Go to the interior hall or windowless room in an orderly way as you are told. Crouch low, head down, and protect the back of your head with your arms. Stay away from windows and large open rooms like gyms and auditoriums. A Florida storm can be incredibly dangerous to yourself and the home. That is why it is imperative to understand how to properly prepare for one, as well as what to do after any damage occurs. To help with this, SERVPRO of Greater St. Augustine / St. Augustine Beach, offering emergency cleaning services, has shared their advice. Before a hurricane hits, a warning will be issued out. In most cases, you'll have at least 48-hours to prepare. Keep a radio or television on the news station to be informed of updates. Or, download a local weather app to your phone. If the storm is not severe enough for evacuation, take a few actions to protect yourself at home. Those without hurricane shutters should board up their window; plywood five-eighths of an inch thick is sufficient. 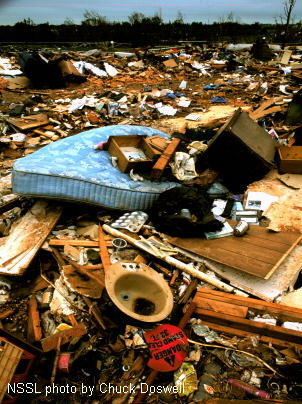 Then, clear your yard of all debris or loose objects. Keep your car full of gas and always have an emergency kit nearby. After the storm has passed, you must be careful as you move about. Take note of any fallen boards, exposed nails, broken glass, or weakened structures. If excessive damage has occurred, vacate the premises until professionals can arrive. Even if the area seems secure, be wary of standing water. Mold can begin growing in warm, humid environments within 24-hours. Consider staying in a hotel until this can be remediated. Before moving or touching fallen or broken objects, take photos of the damages. This provides evidence and helps you get reimbursed for emergency cleaning services. There are a few people you must call after a storm. First, contact your insurance agency; inform them of the disaster, tell them you have photographs of the damage, and ask about your policy. They will likely send an adjuster to your home for an inspection. You will then know the extent of the repairs and costs. After that, you can call for water extraction. Do this as soon as possible to prevent further water damage to your home and furniture. After a tropical storm, call SERVPRO of Greater St. Augustine / St. Augustine Beach. This local business has a reputation for being affordable and top-quality in all of their emergency cleaning services. Whether you’re dealing with water damage, mold remediation, or simply need carpet cleaning, their certified experts are prepared for every job. For more information, visit their website or call (904) 429-4457 today. St Augustine residents - are you hurricane ready? Hurricane season has officially begun, and we have already seen our first named storm develop. While we may only be 2 weeks into the season, it is very important to have a fully comprehensive evacuation plan in place. Do you have extra gas cans filled for your vehicle, incase the gas stations are unable to open to due to damage from the storm? These are just a few things to consider to prepare for the storm. During hurricane Matthew, we saw the great city of St. Augustine band together to help those in need. Let SERVPRO of Greater St. Augustine/St. Augustine Beach (904-429-4457) help you prepare before the storm comes. Get a head start today by calling us for information on free emergency ready programs for any business in North East Florida or St. Johns County. If you live in an area with extreme weather, then water extraction is an inevitable necessity. But, with preventative measures, you can help avoid water damage in your home and prevent costly repairs. The team at SERVPRO of Greater St. Augustine / St. Augustine Beach is discussing some of the top ways to prepare for storm season this year. Since you can’t always avoid storms or leaks, the best way to prevent water from destroying your belongings is with proper storage. Go through your home, garage, and attic and put all your valuables on higher shelves in the rooms. You can also purchase plastic storage bins and stack them on top of one another. In the event of storms or significant leaks, most items will be protected from standing water damage when properly stored. Throughout the year, it’s tempting to throw unused items into the basement or garage. But when a big hurricane appears, you might not have time to clear these rooms out. To avoid potential water damage from ruining your items, clean before storm season approaches. Store seasonal items in plastic bins with secure lids, and donate unused belongings to prevent clutter. If a room requires professional water extraction, clutter will only make the problem worse. Properly functioning gutters are essential during storm season because they help guide water away from the home and foundation. Clogged gutters can spell disaster. Without anywhere to go, the water will backflow into your home, potentially causing significant water damage. Make it a priority to regularly clean gutters and have them professionally maintained throughout the year. For professional water extraction in Florida, reach out to the experts at SERVPRO of Greater St. Augustine / St. Augustine Beach. Whether you need emergency cleaning services or water damage restoration, their team is equipped to handle a wide scope of projects for commercial and residential properties. Visit them online for more information or contact them at (904) 429-4457. SERVPRO of Greater St. Augustine/St. Augustine Beach is here to help in an emergency! 904-429-4457. SERVPRO's "Hulk" as it is leaving our St Augustine shop to assist with a large water loss in St John's County. SERVPRO is here to help! When you have called an expert to provide storm damage restoration services, you’ll need to take several steps before help arrives. The team at SERVPRO of Greater St. Augustine/St. Augustine Beach in St. Augustine, FL, are the area’s premier water damage restorers and specialty cleaners. They can help you out when your property has been damaged in a storm. Mop Excess Water: It’s perfectly okay to start the cleanup process before storm damage restoration services providers arrive. You can blot and mop away excess water on hardwood floors, and even carpets, to get the cleaning process started. Feel free to use towels and dishcloths to soak up water sitting on countertops and tabletops. Organize Items: Your professional cleaners will arrive with large pieces of equipment and tools to take care of various steps of the excess water removal and cleanup process. Clear away entryways of clutter and small pieces of furniture. Prop up furniture against walls to make space for carpet cleaners, vacuums, fans and other machines. Remove Art & Fragile Items: You will want to carefully remove any artwork and other fragile items from areas that will be cleaned. Make sure to take extra care when climbing ladders or furniture to reach items in higher places since some surfaces may be slippery. Take your time to remove and store these items in waterproof containers or cover them with towels until the cleanup is complete. Whether your home, office, or property is flooded after a major rainstorm in Greater St. Augustine, you’ll need professional services to repair any damage and prevent water leaks and mold buildup. If you need to hire professionals for storm damage restoration services, call the team at SERVPRO of Greater St. Augustine/St. Augustine Beach in St. Augustine, FL at (904) 429-4457 or visit their website for more information. Crawlspace Concerns? Yes, We do that! This home has no vapor barrier, exposed insulation, and multiple other threats to the home! Homes that are elevated usually feature a small crawlspace under the home. In most cases, these crawlspaces are heavily neglected for a number a reasons. Most people don't have the desire to crawl in the dark, wet, and cramped spaces underneath their home to provide routine maintenance. That's where your #LOCAL SERVPRO of Greater St. Augustine / St. Augustine Beach comes in! Your crawlspace should always feature a vapor barrier. A properly installed vapor barrier can help eliminate moisture build up, which will help defend against mold. Ductwork, plumbing pipes, and electric wiring run underneath your house in the crawlspace. In order for your home to operate efficiently, ductwork should be protected by insulation, electrical wires should be covered with protective plastic, and pipes should be insulated to avoid the drastic temperature changes that occur in the crawlspace. Pesky critters also lurk in crawl spaces, and having your pipes, wires, and ductwork covered will help eliminate damage. Pro Tip: Installing a Sub Pump in your crawl space will help to eliminate standing water. Standing water is the number one threat to the integrity of your home. If you have questions about your crawlspace, call us today for a free evaluation! Our SERVPRO bus hanging out at The Players Championship Golf Tournament In Ponte Vedra, FL. Over the last two weeks, St. Augustine residents have been living in a mild state of déjà vu. Just a mere ten months after Hurricane Matthew devastated Florida’s First Coast, Irma followed in its wake, leaving another trail of destruction. Our teams here at SERVPRO were standing by ready to assist, and as soon as the roads cleared our teams dispatched to help our city recover. In less than two weeks, we have helped to remediate countless businesses and residences. While we’re exhausted, we won’t rest until our city has recovered from this tragedy. All work is performed by licensed, insured, and highly trained technicians. Is Flood Water Dangerous? YES! If your home or business was the victim of flooding from Hurricane Irma, remediation should be considered immediately. Water is classified into 3 distinct categories. Category 1 water is considered sanitary water, coming from the sink, toilet tank, water fountain etc. Category 2 water (previously referred to as “Grey Water”) comes from dishwashers, washing machines, and small toilet overflows that don’t contain feces. Any water that passes through multiple materials (Ex: water overflowing from the washing machine, into the carpet, and into the carpet pad) is considered category 2 water and is harmful if ingested. Category 3 water is the most serious form of water intrusion, as it is considered grossly contaminated. Previously known as “Black water,” category 3 flooding is most often caused by natural disasters such as hurricanes. The water that enters a building from a hurricane potentially contains sewer backup, contaminates from rivers, ponds and streams, and other stagnant liquids containing bacterial growth. Proper remediation requires removal of all contents that the category 3 water has the ability to infect. Cabinets, laminate flooring, drywall, baseboards and other porous materials should be removed within 72 hours to prevent further contamination. Failure to remove items affected by category 3 water poses threats of serious illness and will compromise the integrity of all items in the immediate area. If your home or business flooded during Hurricane Irma, please contact SERVPRO of Greater St. Augustine / St. Augustine Beach immediately for a free consultation and estimate. Our office staff is standing by at 904-429-4457 to assist you in your time of need. Do you have your hurricane evacuation plan ready? Tornado damage in St. Johns County, Florida. In a house with a basement: Avoid windows. Get in the basement and under some kind of sturdy protection (heavy table or work bench), or cover yourself with a mattress or sleeping bag. Know where very heavy objects rest on the floor above (pianos, refrigerators, waterbeds, etc.) and do not go under them. They may fall down through a weakened floor and crush you. Head protection, such as a helmet, can boost survivability also. At school:Follow the drill! Go to the interior hall or windowless room in an orderly way as you are told. Crouch low, head down, and protect the back of your head with your arms. Stay away from windows and large open rooms like gyms and auditoriums. Moisture meters penetrate the surface to detect moisture. Proper remediation saves money in the long run! What should you do if your building experiences flooding? We are here to help educate and inform the public about the dangers water poses to your home or business. Water damage should ALWAYS be treated by professionals like us. Surfaces may appear dry, but often they hold moisture which may eventually cause mold damage. Our moisture meter technology (see picture attached) allows us to measure moisture content to accurately mitigate water damage. Video of Historic building restoration during Hurricane Matthew. Free Program to Prepare for Hurricane Season! In 2016, Hurricane Matthew swept across the coast of Florida leaving a trail of devastation in its wake. St. Augustine’s beautiful city was hit harder than most, testing our community in ways which we will never forget. Throughout this devastation came something amazing; our community rallied together, working tirelessly for months to repair the damage and assist those in need. Strangers volunteered their time and energy, and we put our city back together, piece by piece. With hurricane Matthew serving as a constant reminder of the force that hurricanes present, we here at SERVPRO of Greater St. Augustine want to help our community prepare for hurricane season. We have already faced one “named” storm this year, and experts are predicting a highly active hurricane season. SERVPRO of Greater St. Augustine / St. Augustine Beach offers free Emergency Ready Programs (ERP) for any business located in the Greater St. Augustine area. Our crew of highly trained professionals will come to your location (free of charge) and help prepare your business for an emergency. Once our team inspects the building, we will provide you with access to our exclusive Iphone/Android App that provides step by step instructions for dealing with an emergency. Again, this service is completely free! There are no strings attached! We offer this exclusive free service as a way to provide assistance to our community. We want you to be prepared for the worst, and this Emergency Ready Program will help in the event of any disaster. SERVPRO of Greater St. Augustine loves our community, and we are here to help in any way we can. Whether it’s fire, water, or flood damage (or even a residential carpet cleaning) there is no job too big or too small. Water Damage: 3 things any homeowner must know. Photo shows cleaned carpet after water damage was professionally mitigated by SERVPRO's St. Augustine location. Water damage can take a toll on your home, whether you’re dealing with a burst pipe or a backed-up toilet. Though addressing the damage quickly is important, there are a few things you need to know about water damage prior to calling the experts at SERVPRO of Greater St. Augustine / St. Augustine Beach. Unfortunately, most homeowners insurance policies are incredibly specific about the types of damage they cover. Most policies cover damage caused by broken pipes or appliance failures but, generally, will not cover damage caused by natural disasters. If you’re concerned about your home’s risk for floods or hurricane damage, you may want to invest in an additional policy. Water may not seem like a major problem, but it’s important that you report the damage to your insurance company as soon as possible. The faster you report the problem, the faster they can help you get the mess cleaned up, reducing the risk of mold and mildew growth throughout your property. When it comes to water damage, many homeowners believe they can simply clean up the mess themselves. While this may be true for small leaks, it can present a major safety hazard. Water quality matters and the steps required to clean up water damage from an overflowing toilet differ from those used to clean up a burst pipe. Remember, contaminated water from the sewer can contain bacteria, viruses, and other harmful substances. Don’t let water ruin your home. Contact the water extraction experts at SERVPRO of Greater St. Augustine / St. Augustine Beach as soon as you notice a problem and let the professionals handle your home’s restoration. For more information on their mold remediation and biohazard cleanup services, visit their website and call (904) 429-4457 to schedule an appointment. Storm damage isn’t something you can plan for. One minute, it’s a beautiful sunny day with a few clouds in the distance, and the next thing you know, the wind is picking up, and you’re battening down the hatches to weather out the storm. No one knows what to expect once they step back outside. That’s why it’s best to have a connection with the top storm damage restoration company in the area. SERVPRO of Greater St. Augustine/St. Augustine Beach has provided numerous emergency cleaning services to clients throughout northeastern Florida and has the experience needed to help you recover after a storm. Don’t attempt to sort through the damage on your own, as some structures may be unsafe and could cause injury to you or a loved one. Contact the experts at SERVPRO as soon as possible. With their convenient 24/7 customer service line, you can count on these local contractors to be available whenever you need them. Once the professionals have arrived at your property, they’ll perform a thorough inspection to determine the amount of damage that was sustained. Don’t hesitate to ask them to walk you around. They’ll point out the areas that should be repaired and will discuss the solutions available to you. Don’t leave anything to chance. 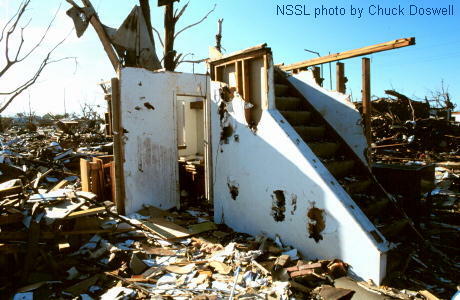 Take photos so you can refer to them throughout the storm damage restoration process. This way, if any questions are asked after the repairs are completed, you have photographic proof of the damage that was sustained after the storm. 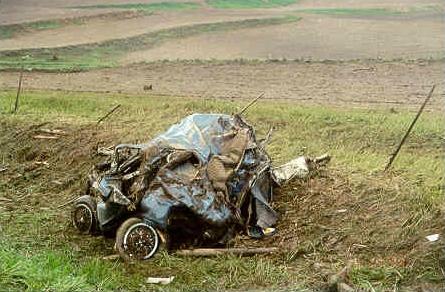 This is the reason you have insurance! After you’ve had an inspection done by an expert, it’s time to file a claim with your insurance company. Sometimes, the professional who performed the inspection will contact them directly to act as a middle man, so talk with SERVPRO about how it should be handled. You have about 12 to 24 months to officially file a claim. Do your research before hiring a contractor. Most times, your insurance company will provide two or three contractors for you to contact, so you at least have a place to start in your search. Don’t hesitate to ask for estimates and schedule face-to-face interviews. This will help you find out how much experience they have and whether or not you feel comfortable having them work on your property. The best thing about working with SERVPRO of Greater St. Augustine/St. Augustine Beach is they provide both inspection and repair services. If you’re starting to feel overwhelmed by the whole storm damage restoration process, call (904) 429-4457 to talk directly with a friendly company representative. They’ll set you up with an inspection and guide you through each step. Visit their website or Facebook page for additional information on water damage repairs and carpet cleaning. Why choose SERVPRO's St. Augustine location for all your restoration needs. Making a video highlighting how SERVPRO's stands out above rest in St. Augustine. Florida is known for its sunshine and its glorious, heat-filled summer days. It’s also known for its storms, especially flash storms that can strike without warning and cause major damage; that summer heat makes conditions ripe for house fires. SERVPRO of Greater St. Augustine / St. Augustine Beach is a locally-owned and operated company, and they’ve seen firsthand the kind of damage that can be caused by floods and fire. As a local company, they are wholeheartedly invested in the community, which is one of the many reasons you can put your trust and faith into their cleanup and restoration services. As America’s oldest city, St. Augustine has a lot of landmarks and history to preserve, as do the great people of the city. That’s why SERVPRO of Greater St. Augustine makes it their number one priority to help clients who have suffered water or fire damage. They provide a range of restoration and cleanup services, including water damage and storm damage restoration service, water extraction from floods and other mishaps, mold remediation, fire damage repair, and emergency cleaning services. St. Augustine is also invested in supporting their own, and SERVPRO is not just a company located in St. Augustine, their team is made up of residents, homeowners, and homegrown Floridians, just like their clients. They treat customers like neighbors because they are neighbors. SERVPRO staff members have gone through storms and fires, just like their customers. They understand not just the hassle but the heartache. They make it their mission to help you through it, quickly, efficiently, and affordably, so life can get back to normal as soon as possible. Providing stellar damage restoration and cleanup services to residents and businesses in the Greater St. Augustine area, SERVPRO of Greater St. Augustine / St. Augustine Beach is ready to help you if you’re in need. To schedule an appointment, call (904) 429-4457. You can also visit their website to see a full list of their restoration and emergency cleanup services. What to Do When You Need Storm Damage Restoration Services in St. Augustine and surrounding areas. NearSay article written about SERVPRO's Emergency Services in St. Augustine. SERVPRO of Greater St. Augustine/St. Augustine Beach's fleet, all ready to respond to a large loss. Follow this link below to this NearSay write up! Storm or Water Damage, SERVPRO in St. Augustine offers much more than Restoration. SERVPRO's technicians from our construction dedicated teams working on Water Damage Remediation project in St. Augustine. We have posted vidoes and photos from this job while we were working on this water damaged home in St. Augustine. Now that we are finished we compiled a complete video of the putback/reconstruction portion of the project. Our customers wanted to upgrade to tile from vinyl flooring and were very happy with the quality of all work and particulary the flooring install by SERVPRO of Greater St. Augustine/St. Augustine Beach. Content Storage is what we do - SERVPRO of Greater St Augustine/St Augustine Beach. Our warehouse is fully equipped to handle contents from multiple projects simultaneously. In the photo you see an example of what boxed contents may look like while stored at our warehouse in St. Augustine. Storm Damage - SERVPRO in St Augustine is ready! SERVPRO in St Augustine has technologically advanced, cutting edge equipment to make any job seem easy. Storm Damage - SERVPRO is here in St Augustine now! high moisture drywall readings in this St Augustine home, caused by a flood. External floods can be quite damaging. In the picture you can see one of many moisture-measuring meters we utilize on water damage jobs. The photo was taken in October, in this beautiful St Augustine Beach first floor condo. SERVPRO of Greater St Augustine/St Augustine Beach is located locally off 207 and US1 and is faster to any local disaster. SERVPRO's logistical capabilities and cutting edge restoration technology is now local! Storm Flooding brought external debris and sand into this St Augustine Condominium. A faulty fountain caused havoc in this St Augustine community. The photo shows external sand and debris that traveled through drywall!!! SERVPRO of Greater St Augustine/St Augustine Beach quickly responded to the water damage call and within a week completed all restoration/remediation work. Our “Before and after” section highlights the difference we are able to make in a flood/water damage situation. All our services come with price match and satisfaction guarantee. Here at SERVPRO of Greater St Augustine/St Augustine Beach we work tirelessly to be better than competition. High water moisture readings - SERVPRO of GREATER ST AUGUSTINE ENGAGE!!! When the owners of this St Augustine condo flew in for holidays they were in for a nasty surprise. Flood waters found their way in (first floor) and cause a lot of water damage. SERVPRO of Greater St Augustine were fast on the scene and no water damage can match up to the expertise on hand! "Like it never even happened." 2/14/2019 - What to do during a tornado warning in St Johns County. 8/28/2018 - It is Hurricane Season; are you prepared? 6/27/2018 - St Augustine residents - are you hurricane ready? 6/7/2018 - SERVPRO of Greater St. Augustine/St. Augustine Beach is here to help in an emergency! 904-429-4457. 12/29/2017 - Crawlspace Concerns? Yes, We do that! 9/22/2017 - Is Flood Water Dangerous? YES! 6/14/2017 - Do you have your hurricane evacuation plan ready? 6/7/2017 - Hurricane Season Is Here! 5/18/2017 - Free Program to Prepare for Hurricane Season! 5/14/2017 - Water Damage: 3 things any homeowner must know. 6/6/2016 - Why choose SERVPRO's St. Augustine location for all your restoration needs. 3/23/2016 - What to Do When You Need Storm Damage Restoration Services in St. Augustine and surrounding areas. 1/31/2016 - NearSay article written about SERVPRO's Emergency Services in St. Augustine. 1/31/2016 - Storm or Water Damage, SERVPRO in St. Augustine offers much more than Restoration. 12/26/2015 - Storm Damage - SERVPRO in St Augustine is ready! 12/25/2015 - Storm Damage - SERVPRO is here in St Augustine now!